This integrated office fitout for DCCEE occupies a total NLA of 12,250m2 over 7 levels and provides working accommodation for 750 employees. 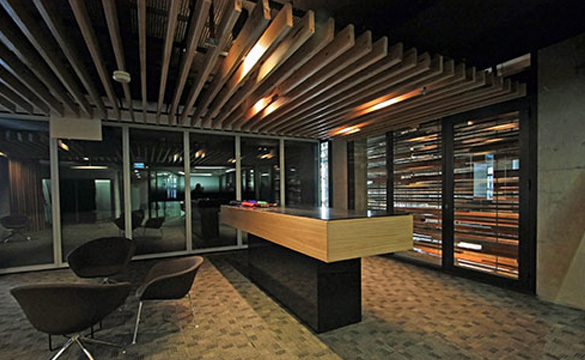 The fitout demonstrated leading edge sustainable environmental initiatives including living walls, recycled timber, low VOC paints and carpets, a carbon dioxide monitoring and control system and natural ventilation modes and was designed to achieve a 6-Star Green Star rating. Wilde and Woollard was commissioned for cost planning and cost management services, working with the client to provide greatest efficiency gains at minimum cost. Wilde and Woollard also provided expert witness services at the Parliamentary Standing Committee on Public Works (PWC).